LIFE flows in curves that turn into circles. Even things that should be permanent are part of a cycle. 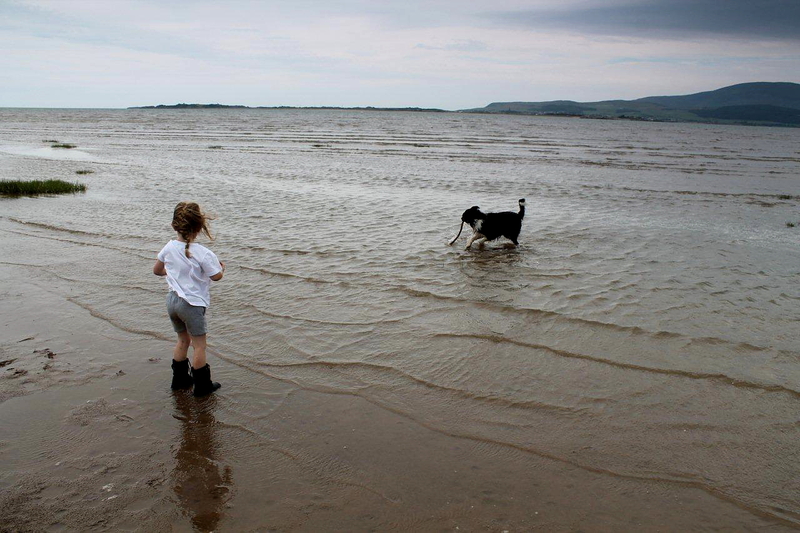 Today I’m walking along the shores of the Duddon estuary with a dog and a granddaughter. I’ve been here before in several senses. I have no doubt the three of us will return at some point if I hold tight to the circumference and remember that Pi equals 3.142 or 22 over seven . 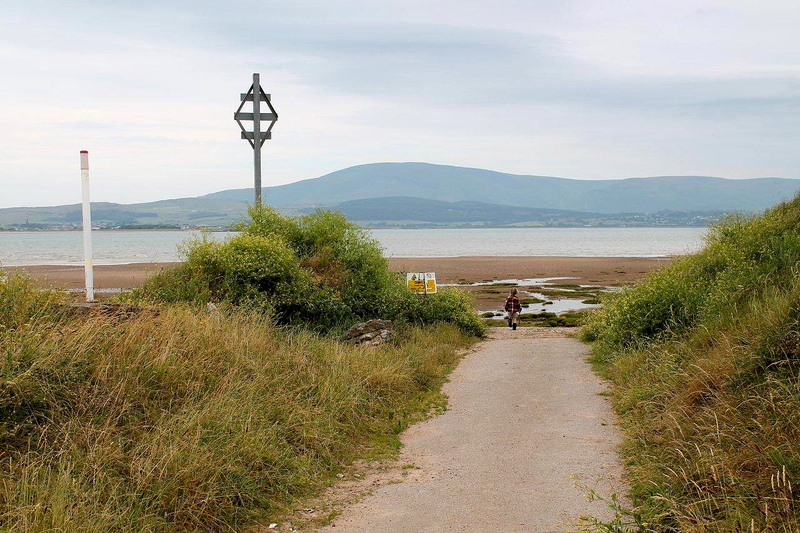 . .
One of the constants of my life, something which dominated my childhood and now stands as a marker of sorts or an anchor and a point of reference, is Black Combe, the most southerly fell in the Lake District. I can’t refer to it as a mountain because standing at 1,968ft, or 600 metres, it is just short of making the grade. That’s assuming everyone agrees that the definition of a mountain is a hill that’s higher than 2,000ft (610m). There was a time when people living in south Cumbria referred to Black Combe as the highest hill in the country. Then Hugh Grant made a film called The Englishman Who Went Up a Hill But Came Down a Mountain, and that clouded the picture because it concerned a hill in Wales that wasn’t quite a mountain because it was just under 1,000ft (305m) – not 2,000ft. But the film was complete fiction anyway, and I wouldn’t have watched it if Tara FitzGerald hadn’t co-starred. Never did like Hugh Grant – or Jeremy Irons, Charles Dance or Nigel Havers, come to that. 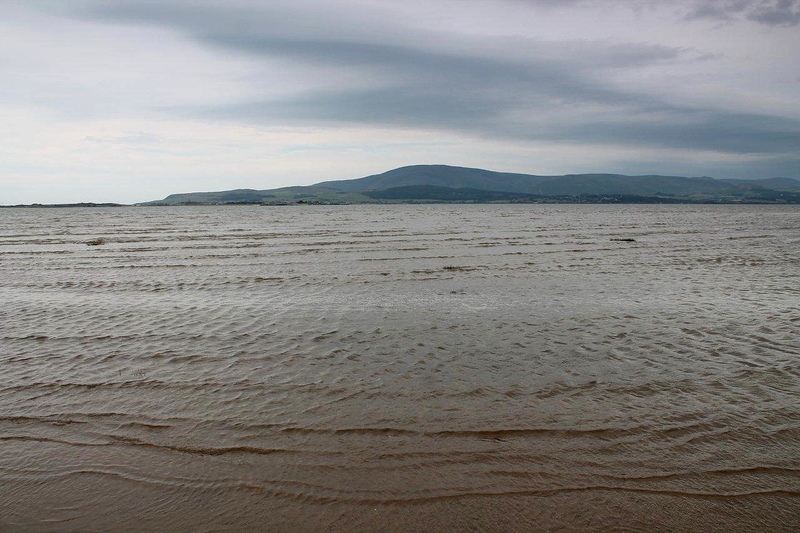 Black Combe has been round in a circle at least once. It is formed of Skiddaw slate, which was laid down in shallow seas during the Ordovician period about 500 million years ago. Its main constituents are dusts and grits worn down from previous land masses, with a few graptolites sprinkled in to spice things up. In geological terms, Black Combe has been around the block. It’ll probably go round again but we don’t need to worry about that. I’ve climbed Black Combe twice – once alone and once with my father. I need to climb it again because I can feel the circle spinning. Perhaps I should take the granddaughter and the dog. I tried to climb it with my son one Christmas holiday when he was four, but we were beaten back by hammering rain. It made a lasting impression on him because now he’s a roofer and works in all weathers. So we walk along the beach and we see sand martins’ nests in the cliffs. This is a new development because sand martins have never nested here before. 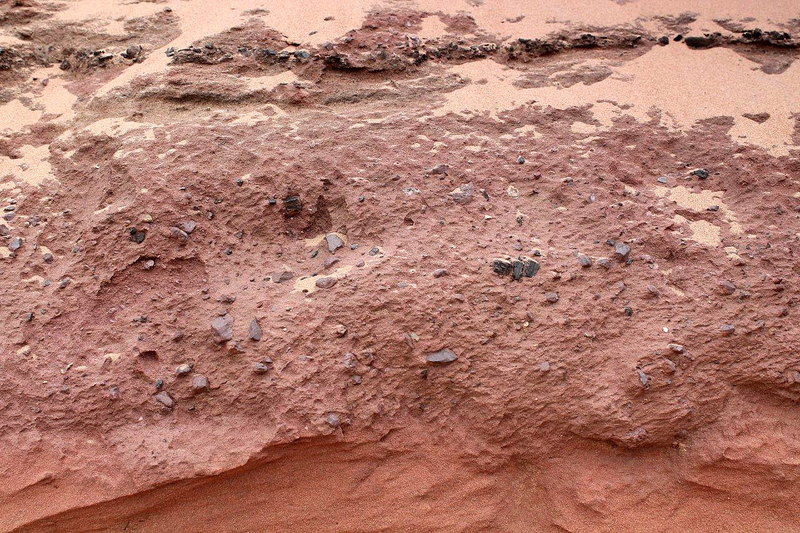 Near the base of this sand cliff is a band of red mud in which are embedded chunks of haematite ore and stones. Ore from the Furness haematite mines was shipped from this place during the early Victorian era and before, so I reckon this is evidence of an ore yard where haematite was piled, and the sand above has accumulated since. I might be wrong but I’m thinking in circles. Drifting sands plagued this area for many decades, blocking drains and yards and filling people’s homes. 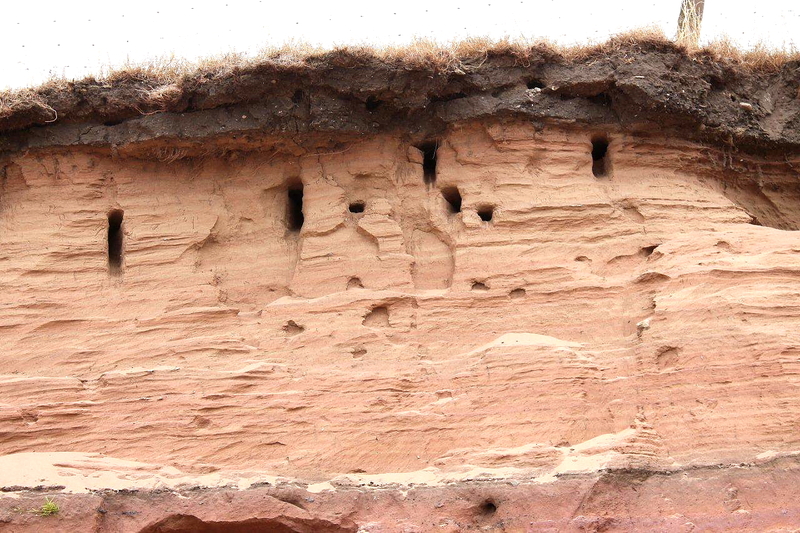 One day this seam of red mud and sand martins’ nests will be discovered fossilised in a band of sandstone on the top of a mountain – or at least a high hill that might someday be a mountain. You wait and see. The tide’s coming in and soon it will go out. 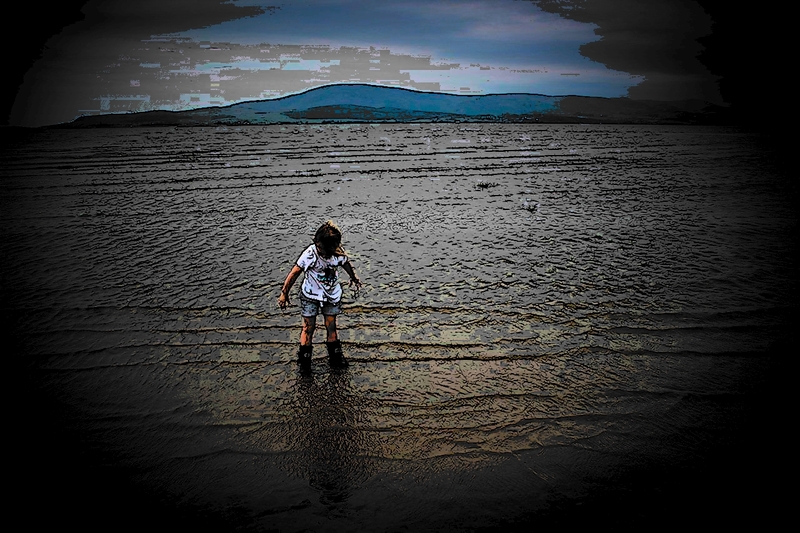 One day my granddaughter might read these words and see these pictures and decide to climb Black Combe purely because things go round in circles. She might take a dog and gaze down upon an estuary that has changed from the one she saw today. She might even take me with her. This entry was posted in Childhood, Climbing, Environment, Geology, Hiking, History, Industrial archaeology, Life, Mountains, Rivers, Walking and tagged Cumbria, Lake District, Mining History, outdoors, The Lakes. Bookmark the permalink. Robert Frost passes through again on the great wheel of fate . . .
That’s a lovely story, Alen. 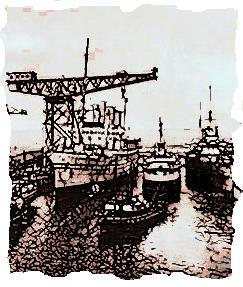 The pictures are very evocative and so is your story. I agree with you the sand martins’ nests will be discovered fossilised in a band of sandstone on the top of a mountain. I think it is a fascinating thought. Your granddaughter is wearing proper boots for a start. Really hope she will take you for a run at Black Combe when she become a teen. Hej Hanna. I sincerely hope that we’ll all be fossilised, along with the sand martins, and like the people of Pompeii our tortured bodies will shed some light and further the education and enlightenment of future generations. I cannot think of a better or more permanent way to leave a small and probably insignificant mark in the vastness of history. As for my granddaughter’s boots, I told her to keep out of the water because she would fill them – and she did fill them. But hey, that’s all part of growing up. Black Combe. We shall climb it together. Either I take her or she takes me, I have decided it will happen. Another brilliant post Alen & a good story for your grandaughter to recall when she is older. The coast of that part of the UK is somewhere I’d like to walk, not climbing mountains but following the curve of the land, where it “slips unnoticed beneath the restless sea”. Hi Ash. It’s one of those areas – and they must exist everywhere – that is ordinary but at the same time beautiful. That’s probably my take on it because I grew up with those hills about me but I look at them now in a different light. It’s a great area to walk. And if you like the moods and cycles of the sea, it is perfect. It sounds as if you have reached a reflective episode, Alen – perhaps it’s the planets that are to blame, as I appear to have reached one myself! Sometimes I wonder if we pass through patches of cosmic dust where the memories of former lives are preserved. Your analogy of the tides ebbing and flowing is just so apt. We are affected by the forces of nature far more than we realise. 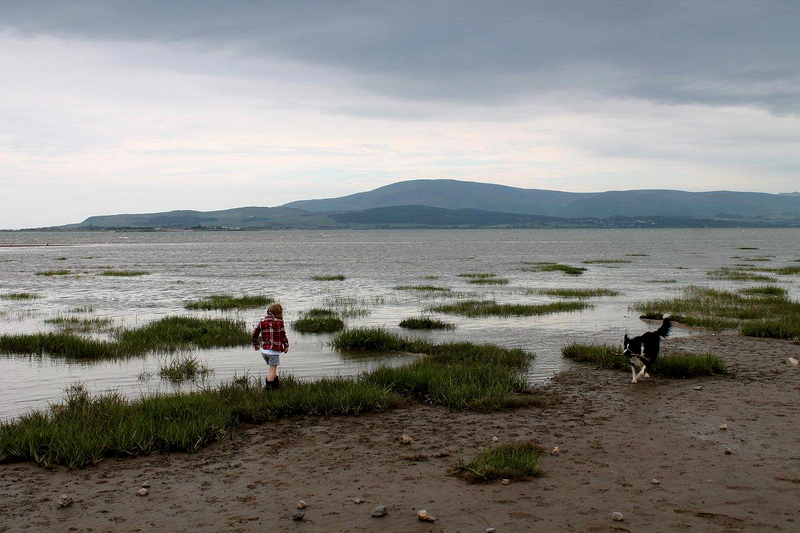 Meanwhile, I would enjoy poking around in those sandy cliffs for haematite ore. I’m sure your granddaughter will climb Black Combe and take you with her, whether in person or in spirit! Perhaps you’ve hit on something there, Jo. I like the though of the cosmic dust that preserves memories of former lives. Perhaps the tide affects us more than we realise, and the gravitational forces that make it ebb and flow. I shall give that some thought. The haematite ore of the Furness peninsula was of a very high quality and there are some remarkable specimens to be found. I have spent hours in the past poking about looking for chunks. It’s a pleasant way to spend an afternoon. A quiet but evocative piece, Alen. I’ve only climbed Black Combe the once, but like all the walks I’ve made, the memories are easily accessible. I hope that one day we’ll hear your granddaughter’s take on it. Hi Martin. Thanks for that. 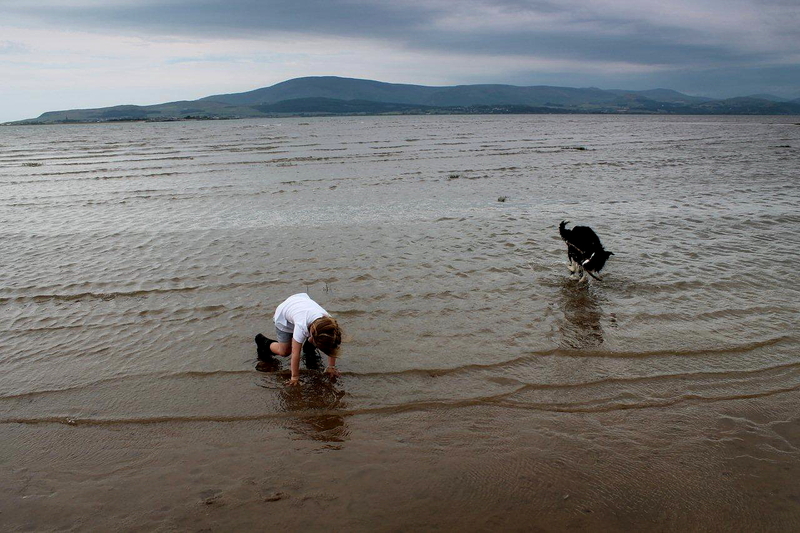 Now that would really be something – if my granddaughter climbed Black Combe and then blogged about it. I would feel I had achieved something! A lovely afternoon I’m sure. I miss having a young one about to watch them wander and discover. Hi Dohn. Yes, they learn quickly at that age and retain the smallest detail. The can also teach us a thing or two at times. I have these reflective moments, Mrs Potter. I find that as I get older, I still feel the same inside as I did in my youth. Perhaps that could explain why the future looks longer. Or perhaps not. A good reflective story with great pictures. It made me think and realized that what i am today and loving to do was maybe and somehow greatly influenced by my father, who used to take me and our dogs with him in the forested hills, just roaming around, observing and appreciating nature, harvesting edible stuffs like bamboo shoots and so forth, crossing the rivers, fishing and getting some crabs. My father had a great love for outdoors. Your story made me came to think that I am my father’s daughter. I’m so touched. Hi Loty. I would be more than satisfied if, in years to come, my granddaughter grew to appreciate the natural world in the way you have. It would make everything worthwhile. I can still remember tramping through woods and along the coast with my father, so the influence of older generations has its effects. Brilliant Again! Photos,Grand-Daughter, blog well just all of it, I hope to tell you about The Gunnery Manual soon-so you may hand down as I shall,my grand children.Two things a must mention (Before my asbo curfew time) 1 I have a comment on the Holy Island trip 2 Why have the Royal Family ALL DRESSED AS ADMIRALS ? I was in the clinic for my……(best I move on that)and there was Hello mag,in it was wedding of the Royals of some Nordic country plus our Royals all dressed as ADMIRALS! Except our Queen (as she sensibly did not attend)This Admiral fetish seems to be spreading,and why….we need to be told. As I asked the local fancy costumers,they said they were cleared out of the Admirals costume and all they could offer was a slightly damaged Stalin outfit!! must go now and the Mother in Laws parachute unfortunatelly opened.! The Tynemouth Tirpitz. Peter, your comment explains a great deal. I have been a regular visitor to Bazaar Costume Hire in Parkgate, Darlington, for many years but have never been able to hire an admiral’s outfit. Now I know why. Marc Bolan outfits, yes. Gangster outfits, yes. And on one memorable occasion, the full dress uniform of General Ney at the time of Napoleon’s march from Elba. But never an admiral’s uniform. Now I know where they’ve all gone. I suppose their argument is that it brings in the tourists and boosts the economy. Hi Carol. That’s a bit worrying. I suppose if they vote for independence they can say what they like. Perhaps it’s a strategy to claim the vast majority of British mountains are in Scotland to boost income from tourism. I think we should start a campaign right now to keep it at 2,000ft. Weirdly, I too became reflective of Black Coombe. It was last weekend while coming down the road from Coniston I saw it. Like you it dominated my life for so long, working beneath it, crossing behind it to visit relatives in the West and yet there it was, just like it was first and new, rather like a glimpse of the Picos to the returning traveller. I think it might be its shape, rounded and leaden which makes it so memorable. Like you I think I’ve only been up it a few times always rejecting it for the allure of the ‘proper’ peaks further in. Hi Chris. I was over there again myself last week so we must have just missed each other. Mind you, it was a swift visit and I didn’t get chance for much except a swift cup of tea at my mother’s then straight home again. Shame the New Inn has closed. Things will never be the same again. Happy days and happy memories. I hope to get a glimpse of the Picos myself before long, and eventually see the familiar outline of the Sierra Nevada through the dusty windscreen of a rattly van. I’ll keep you updated nearer the time. I think I can see your street. Now it is getting colder, I have moved my chair closer to the fire and the view has changed. Usually from my window I observe an arc of the Kirkby Fells from Dunnerholme around to Kirkby where, in clear conditions we see the train rattling around the water’s edge and stopping by The Ship. The three lights from the HGV recovery garage shine straight at us. Now, the view has changed and I can see the sodium lamps running down from Ireleth to Askam. I don’t live in a retirement home but there are a lot of retired at The Hill and we sit looking out of the windows a lot. Sort of an antithesis of your blog! High tide today. When the estuary fills, the view of Duddon Sands under an autumn sky changes and looks rather like the Falklands footage of San Carlos Water. You half expect to see Argie fighters swooping over the tops from Ulverston! However, I will be by the water today rather than looking at it as our collie-dog has been rolling in something and badly needs a swim. Hi Jon. Thanks for that wonderful comment. 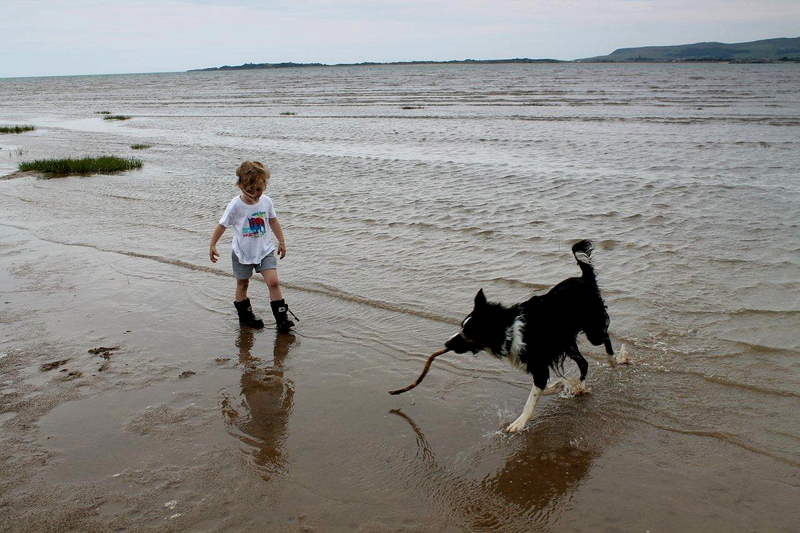 News and views from the Duddon estuary are always welcome on this blog. Interesting to learn that the sand martins have been around for a few years. That means they must have established themselves. They certainly weren’t around when I was growing up during the 1960s. Glad to note that the Punch Bowl is open for business. It’s a few years since I’ve been in there, so I’m long overdue a visit. The last drink I had in the neighbourhood was in the Prince of Wales at Foxfield, a few weeks ago, with my mate Ken, from Green Road just across the fields from you. Lovely pint, and a great pub with some tasty ales. Black Combe. Every time I visit my mother in Askam it frowns at me acrosss the Duddon. One of these days, and soon I hope, I shall revisit the summit. I have enquired but I can’t bring to mind your friend. The mountain-running Ken I know lives close to the Pinnel Hole at The Green and is a regular in The Punch. I was in there on Saurday and for the first time in over 2 years was drinking a pint brewed in the village. Beckstones “Rev Rob”. That beer has won the Camra National Gold medal for mild and Silver overall. So, presently, we hope to see you in there! One mutual acquaintance we may have had was Donald Bell who worked at Burlington Quarries and was the most loyal regular in the Prince; having drank there since he was a boy. He would routinely take his baking to doms night on a Friday. In January they held a memorial supper and his recipes were recreated. What a pub! We will be going to their champagne weekend in early December. We last ascended the Combe to watch the sun set and the moon rise 20 minutes later. It was very clear – and cold! I am planning on taking an electric mountain bike up there next. If it is too steep to ride, it will pull me up. I was encouraged by taking it up Cross Fell in March. I set off late and had to turn back before Greg’s Hut as it was getting dark and there was a foot of snow on the ground but, I covered a lot of distance in the time. It looks as though we probably used the same route up from Garrigill along the roads used for game keeping. I was there on my way to joining my daughter at an open day at Durham Uni. They showed the 6th formers a very good time but she decided not to go. Too many public schoolboys in her opinion. Perhaps it was the traditions? She has decided to go to London to study; can you believe it? If I may say, I am also very much enjoying your local posts on the North East. I lived in Darlington and Durham for a few years and your adventures are a good reminder. Blimey, Jon, I don’t know where to start. I’ve sent you an email about Ken. He’s a well-travelled bloke and you’re as likely to bump into him in Nova Scotia or Vladivostok as you are the Punch Bowl. He’s easily recognisable because he’s usually unsteady on his feet and playing a hurdy gurdy – which he does rather well. Donald Bell is a name I know but I can’t place the face. My mother will have known him because she worked in the Burlington offices at Incline Foot for nearly 20 years and knows everybody. I shall make enquiries. Talk about live and learn. Electric mountain bikes are a new one on me. They sound like just the thing for extending a fell-walking career and opening up new opportunities. Greg’s Hut is a fair old way along the track from Garrigill, a decent walk in itself without the final slog to the top of Cross Fell. I was up there in May and there were still patches of snow on the ground. It was damned cold as well. We’ve lived over here on the outskirts of Darlington for about 19 years. 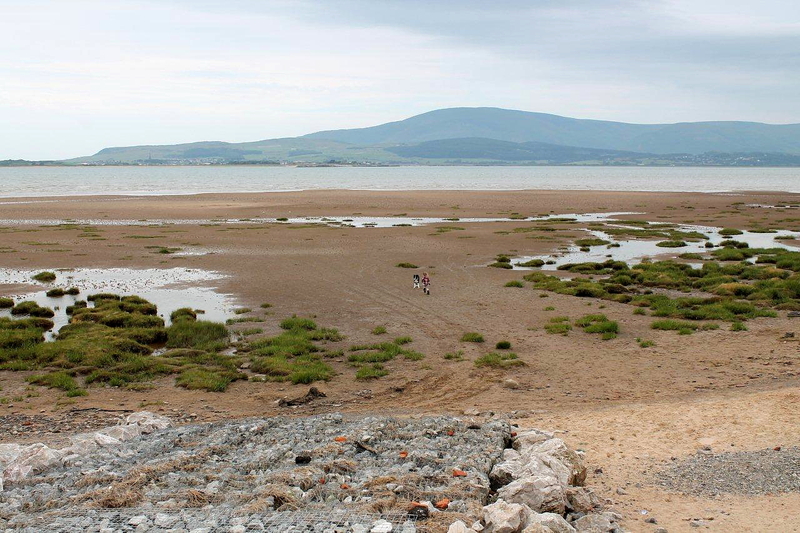 Still miss Askam in a funny sort of way, and the estuary and Black Combe in the background. But life goes on.